A South Korea hotel complex slated to have casino facilities – and that has been developed and will be operated by mainland Chinese real estate firm Landing International Development Ltd – is to have an initial-phase opening on April 25. The resort, called Jeju Shinhwa World, on the holiday island of Jeju, will open 344 units of accommodation called Somerset Jeju Shinhwa World on that date. The latter facility (pictured in part) is to be operated by The Ascott Ltd, a wholly-owned unit of Singapore’s CapitaLand Ltd, according to a press release issued by The Ascott, a business that focuses on what it terms “serviced residences”. 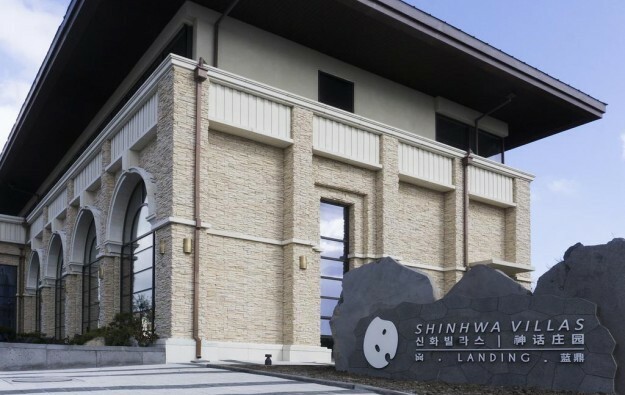 An earlier press release from Landing International, a Hong Kong-listed firm, said that other facilities would open at Jeju Shinhwa World from later this year. The entire development is expected to be completed by 2019, according to a March company filing. “Progressively from late 2017, Jeju Shinhwa World is also set to open its family theme park, YG entertainment centre, water park, Jeju’s largest retail and food beverage complex, hotel rooms and MICE facilities and foreigner-only casinos,” said that earlier Landing International release, referring latterly to meetings, incentives, conferences and exhibitions (MICE). YG Entertainment Inc is a South Korean company that – as mentioned in previous Landing International announcements – operates a talent agency, clothing line, cosmetics brand, event management firm and concert production company, and controls one of the most prominent record labels in the K-pop music industry. Landing International’s earlier release said 630 guest rooms at what it termed “Jeju Shinhwa World Marriott Resort and Spa” would open in two phases; the first 486 in late 2017, followed by the remaining 144 rooms in a later phase. “Owned and developed by Landing International, Jeju Shinhwa World encompasses premium hotels and luxury resort condominium villas, as well as a theme park, waterpark and prestigious retail area, including popular high-end and K-fashion brands,” that announcement had stated. 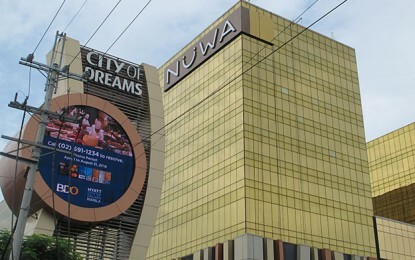 The firm already owns and operates a casino on Jeju Island, branded Landing Casino, located at the Hyatt Regency Jeju Hotel. In April 2016, Landing International acquired Les Ambassadeurs Club and Casino, an upmarket gaming venue in London in the United Kingdom. Genting Singapore Plc, operator of the Resorts World Sentosa casino resort in Singapore, had announced in November 2016 it was disposing of its rights to participate in Jeju Shinhwa World – a project previously under the working title of either “Myths and History Park” or “Resorts World Jeju” – in order to focus on other projects, including a potential investment in Japan. According to some investment analysts, the South Korean market for inbound tourism is currently facing headwinds due to a political row between that country and China over the siting on South Korean soil of a U.S.-supplied missile system designed to counter North Korea’s ballistic missile programme. On March 13, South Korean and international media outlets reported more than 3,400 Chinese tourists had refused to disembark from their cruise ship after arriving at Jeju the previous Saturday.